With just a month until elections, shopkeepers at Turkey’s biggest bazaar say they’re seeing a jump in demand for gold coins. On Friday afternoon, at the Grand Bazaar — one of the world’s oldest covered markets — shopkeepers said more customers were buying gold, instead of selling it, in hopes that the metal will keep its worth as the value of the lira plunges. 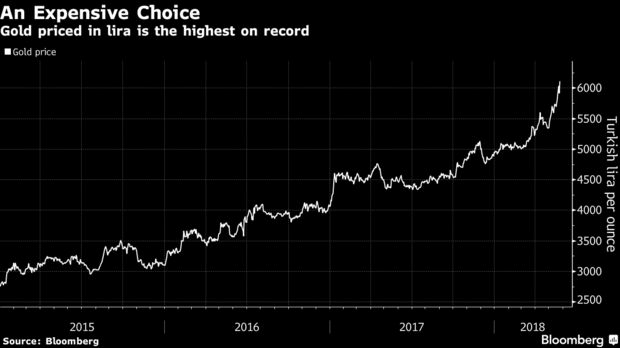 Gold priced in lira is more “expensive” than ever, but that’s not deterring buyers, who are looking for a safe haven. 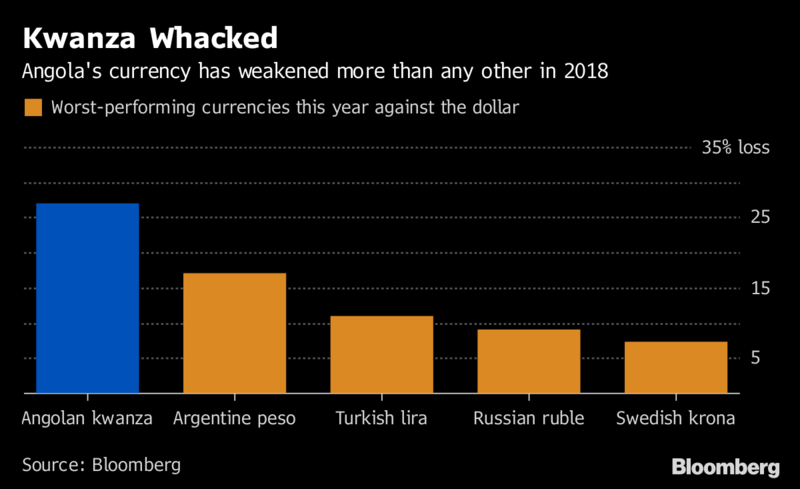 Citizens are buying up gold as the lira plunges in latest currency crisis. Recep Tayyip Erdogan, who’s about to launch a re-election campaign that may provide the toughest electoral test of his 15 years in power, is an outspoken advocate of cheap money. He’s up against investors demanding higher returns to fund an economy beset by inflation and a swollen current account deficit. Turkey imported 118 metric tons of bullion, worth $5 billion at today’s prices, in first four months of this year, the most over that period, according to data going back to 1995 from the Istanbul Gold Exchange. Last year, imports reached a record. It’s not just consumers that are snapping up gold. Official reserves have also increased over the past year. The central bank doesn’t comment on its gold strategy, but previously said the changes in its holdings are part of an effort to diversify its reserves. The reported figure may be misleadingly high because the central bank allows commercial banks to deposit gold as part of their reserves. The government last year launched a campaign to get more “under-the-pillow gold” into the formal banking system. 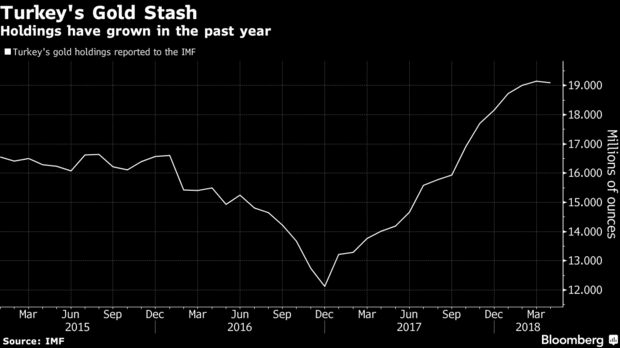 About half of the 216 ton inflow since the start of 2017 can be attributed to this alternative source, according to Matthew Turner, a strategist at Macquarie Group Ltd. in London. The decision for any country to withdraw gold from U.S. vaults is rare — happening only a handful of times in the past decade. Since 2011, Germany, the Netherlands, Hungary and Venezuela have repatriated their gold holdings from the U.S.
Turkey’s decision to withdraw gold may have been a reaction to U.S. court cases against Turkish banks for alleged deals struck with Iran, said Cagdas Kucukemiroglu, a Middle Eastern gold analyst at research firm Metals Focus. “Having the gold physically at home allows countries to feel like they are in control of their reserves,” said Brian Lucey, a professor of finance at Trinity Business School in Dublin. This entry was posted in Uncategorized and tagged gold on May 25, 2018 by Bone Fish.